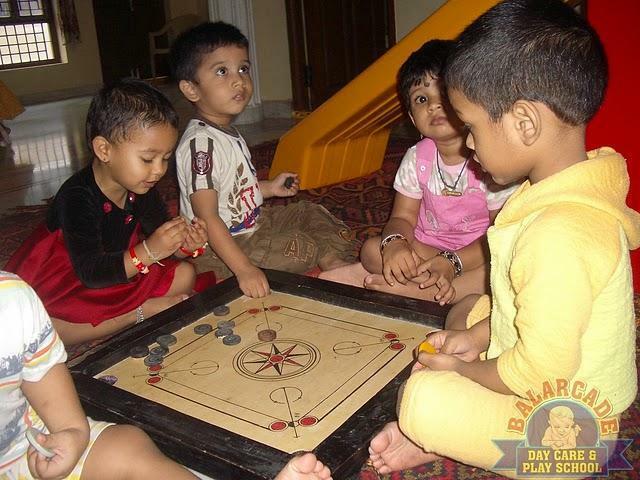 DAYCARE: Balarcade, a nurturing Daycare, located in Gachibowli area of Hyderabad, is a great, safe, fun place for your young children to grow and spend time. Balarcade is equipped to handle babies from 4-6 months onwards so working parents can go to work without any worry about their little ones. Balarcade is a Day Care, managed by experienced, educated and multi lingual caretakers. PLAY GROUP: For older kids, it has a teacher on-board for Play Group and hobby classes. Equipped with great tools and multi media games to help your child learn while having fun. Child-friendly play school equipped with safe toys and tools. After-School Care: staff helps your child complete the homework. 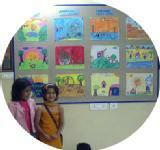 Hobby Classes are also conducted at the facility in Art, Music, Chess...& more categories. Balarcade Food : With a professional cook, a well balanced diet, Balarcade takes food very seriosuly. A variety of nutrient rich food items are prepared to give a balanced diet for lunch, breakfast and evening snacks according to the kids schedule. Special care is taken regarding infants at Balrcade. Hobby Classes : Hobby Classes include music where children visit a studio and learn professional recording techniques, Art, Dance, Chess, Abacus, Vedic Math, Key Board and more. In interacting with other children they develop social skills, language skills. 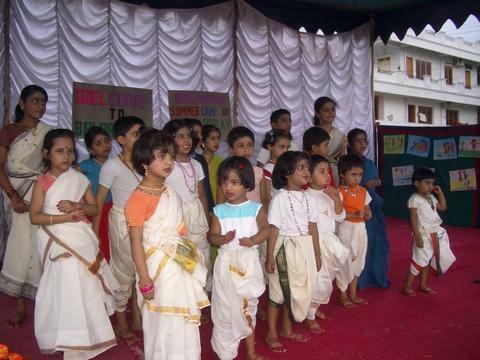 Children are exposed to multimedia to reinforce whatever is learnt through reading or practical methods. Summer Camp Activities : Balarcade Summer Camps have classes in Art, Music, Dance, Chess, Slokas, Speak Sanskrit, Clay Modelling, Paper Crafts, Creative Thinking, Abacus, Vedic Math, Indian Culture and Customs, Civic Sense, Save Earth, Sahaja Vidya, Moral Stories. Children perform at the Talent Show at the end of the camp.